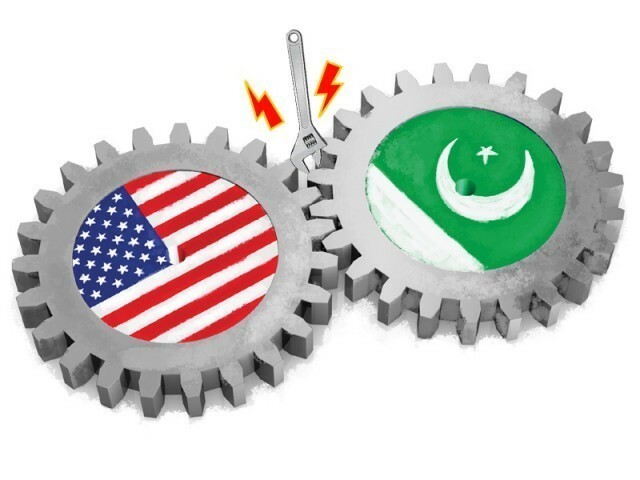 Pakistan has rejected the United States’ proposed draft of a Bilateral Investment Treaty (BIT) between the two countries, saying the acceptance of the US template would carry ‘dangerous obligations’ for the country. “Our understanding is that the US template of the BIT was not in the best interest of the country,” said Federal Minister for Commerce, Khurram Dastgir Khan on Thursday while addressing a press conference in Islamabad on Thursday. He said the talks on the issue of signing the BIT were stalled at the moment. The minister’s comments came just 48 hours after the United States Commerce Secretary Penny Pritzker said that Washington was waiting for Pakistan’s response on the BIT template that it had shared with Islamabad last year. The US introduced a new template for BIT about three years ago. Dastgir said the government took the decision after thoroughly reviewing the BIT template in a meeting that was chaired by Finance Minister Ishaq Dar a few days ago. The commerce minister said Pakistan would prepare its own template of the BIT, which it would then share with the US. The new US template was very stringent on certain accounts, said Dastgir. He said it carried retrospective implications and Pakistan also had concerns about clauses on international arbitration for business disputes. Both countries began negotiating the investment treaty about eleven years ago. Talks had collapsed several times in the past due to the US insistence on the inclusion of certain clauses that deal with investment in defence programmes and prior notification of changes being introduced to any law that could hurt US investments. The Strategic Planning Division (SPD) of Pakistan had expressed concerns over the security of the country’s missile and nuclear programmes, if opened to foreign investment. Pritzker was the first US official to publicly acknowledge that Washington would not be able to grant Pakistan any trade concessions, largely due to gridlock in the American political system, a statement that rankled many in Islamabad. Dastgir said that despite the fact that Pakistan was a frontline ally in the war against terrorism, the US did not offer any special trade incentives to Pakistan over the last fourteen years. Pakistan was a beneficiary of the Generalized System of Preferences (GSP), which lapsed 20 months ago, but Dastgir pointed out that the GSP was not Pakistan specific and was available to 127 countries. Yet despite expressing disappointment over not getting the promised trade agreement, the minister appeared realistic in his demands from Washington. Pakistan, he said, would not be seeking anything that the US government is not in a position to give. He said the Obama Administration has indicated that the US Congress could reauthorise the GSP this summer. Once the GSP package becomes operational, Pakistan would submit a petition requesting the US to include items of Pakistan’s interest in the GSP beneficiary list, said the minister. In addition, Pakistan requested the Obama Administration to allow Pakistani companies to bid for US government procurement contracts, valued at $1.7 trillion every year. Pakistan has made this demand from the US before and Washington has asked Pakistan to comply with the requirements for membership of the World Trade Organisation’s Agreement on Government Procurement (GPA). Dastgir said Pakistan had submitted an application to the WTO and the GPA parties admitted Pakistan as an observer to the committee. The commerce minister also announced that Tauqeer Shah has been selected as the country’s new ambassador to WTO. Published in The Express Tribune, March 13th, 2015. Wants enhanced trade and investment relations.